It has been 43 years since the Mumbai Trans-Harbour Link (MTHL) project was first proposed. The MTHL project also known as Sewri-Nhava Sheva Trans Harbour Link, a 22 km freeway grade road bridge was expected to reduce commuting time between Mumbai and Navi Mumbai and provide direct connectivity to Mumbai Port Trust (MPT), Jawaharlal Nehru Port Trust (JNPT) and the proposed Navi Mumbai international airport. Unfortunately, unrealistic bidding by consortiums, especially from both Mukesh and Anil Ambani led consortiums and objections raised by environmental activists as well as JNPT, have only doubled the cost over the years. The first real attempt to make this project a reality was made in 2004, when IL&FS submitted a proposal to implement the project on a build, own, operate and transfer (BOOT) basis. State-run Maharashtra State Road Development Corporation (MSRDC) also submitted a counter proposal. Although the proposal by IL&FS was discussed by the government, it was side-lined for reasons best known to the authorities. The cost of the MTHL has increased several times. In 2005, the cost of the project was estimated at Rs4,000 crore. The cost was revised to Rs6,000 crore in 2008. It was then increased to Rs8,800 crore in November 2011 and finally to Rs9,360 crore in August 2012. In January 2013, the union government sanctioned Rs1,920 crore, which is 20% of the project cost, in viability gap for the MTHL project. The State Government will also contribute the same amount while the winner is expected to pull in the rest. This also means, the cost of the project has not gone up to Rs9,600 crore, a whopping 240% from the estimated cost of Rs4,000 in just 10 years. company Reliance Energy (REL) and Hyundai Engineering Construction Company quoted a concession period of nine years and 11 months against 75 years quoted by Mukesh Ambani's Sea King Infrastructure, the only other bidder left in the fray. Significantly, in 2004, the MSRDC taking into consideration the 30-year concession period for the Mumbai-Pune Expressway, had estimated a 35-year concession period for the Sewri-Nhava Sheva Trans Harbour Link project. At that time the cost of the project was estimated at Rs4,000 crore. Interestingly, the REL-Hyundai consortium was disqualified at the technical bid stage as Hyundai did not meet the criteria of $200 million networth as per the bid documents. Even L&T Gammon Industries and IFFCO, the other bidders opted out of the race leaving Sea King as the only bidder, says a report from Business Standard. However, according to the report, the REL-Hyundai consortium challenged the disqualification in court and got a favourable verdict from the Supreme Court. The apex court granted the consortium 90 days to submit its bid that ended on 15 December 2007, the report said. Deshmukh also told Mumbai Mirror that both bids seemed frivolous in nature, and that a final decision would be taken based on the report submitted by the consultants to MSRDC. Concessional period for a project is the time taken to complete the project, collect the toll to cover the cost, and then hand over the project to the government. The state government then decided to invite fresh bids for the project in 2008. Although, the fresh round of bidding saw as many as 13 companies evince interest in the project, none submitted bids. At that time the cost of the project was revised to Rs6,000 crore. 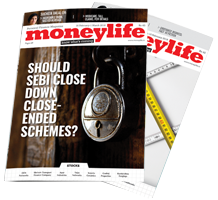 Then in 2011, the Mumbai Metropolitan Region Development Authority (MMRDA) stepped into the scenario. In August, MMRDA appointed Arup Consultancy Engineers and KPMG to conduct the techno-economic feasibility of the Sewri-Nhava Sheva Trans Harbour Link. Again, the cost of the project was increased to Rs8,800 crore from original estimate of Rs4,000 crore. In May 2012, the MMRDA shortlisted five consortia out of six that had expressed interest in the project. 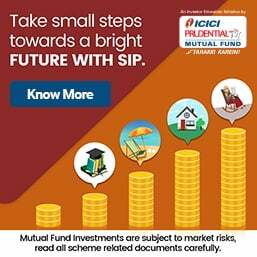 They are Cintra-SOMA-Srei, Gammon Infrastructure Projects -OHL, Concessions-GS Engineering, GMR Infrastructure-L&T -Samsung C&T Corp, IRB Infrastructure Developers-Hyundai, and Tata Realty and Infrastructure-Autostrade Indian Infrastructure Development Pvt Ltd-Vinci Concessions Development V Pte Ltd. In the meantime, the cost of Sewri-Nhava Sheva Trans Harbour Link was again revised to Rs9,360 crore in August 2012. On 22 October 2012, Maharashtra chief minister Prithviraj Chavan gave clearance to the project. Next day, the ministry of environment and forests (MoEF) gave a conditional environmental clearance to the sea link project. Some of the conditions were that the MMRDA should put up noise barriers, replant five times the number of mangroves destroyed, no dredging and reclamation, use construction equipment with exhaust silencers and work in consultation with the Bombay Natural History Society to minimize the impact on migratory birds. October 2012 turned out to be an eventful month for the Sewri-Nhava Sheva Trans Harbour Link. Following the clearances from the state government and MoEF, on 31st October, the Department of Economic Affairs (DEA) also granted an in-principle approval for the MTHL. The DEA recommended granting Rs1,920 crore with a concession period of 35 years for the project. On 9 November 2012, the state government issued a state-support agreement and a toll notification for the project. 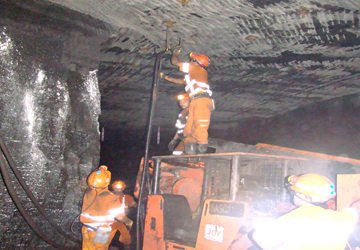 The empowered committee approved viability gap funding (VGF) for MTHL on 12 December 2012. Later on 18 January 2013, union finance minister P Chidambaram cleared the project. Although the MMRDA shortlisted five consortiums for the project, so far is has not received any bids. 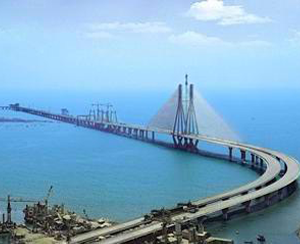 According a report in the Times of India, the state government has finally decided to construct the Mumbai Trans-Harbour Link on its own if it does not receive a bid on 5 August 2013. Quoting UPS Madan, metropolitan commissioner, MMRDA, the report said, “...this time the government will not let the project fall for want of funds. If we do not receive any bids on August 5 then we shall go on our own”. In January 2013, the union government sanctioned Rs1,920 crore, which is 20% of the project cost, in viability gap for the MTHL project. The state government will also contribute the same amount while the winner is expected to pull in the rest. This also means, the cost of the project has not gone up to Rs9,600 crore, a whopping 240% from the estimated cost of Rs4,000 in just 10 years. Unfortunately, it is the common people who will have to foot the bill either directly (through toll) or indirectly (through various taxes). It is same story all over again. Be it dams or trans harbour bridges or SEZ projects, cost escalation is the way forward to siphone off tax payers money. They have become hard skinned inspite of possible CBI enquiry later on. Coal Bed Methane: A pipe dream at Mannargudi in Tamil Nadu? There is always a big difference between private enterprise which is motivated by profit but that still serves peoples’ needs, as against political actions that show great concern for public reaction which may actually camouflage political motives and lethargy. Take Reliance Industries’ (RIL) coal bed methane gas plant at Shogapur block in Madhya Pradesh. RIL envisages a production of 3.5 mmscmd (million metric standard cubic metres of gas) of methane gas from 2015 and to show its seriousness, the company has even given a performance guarantee for Rs13 crore. It expects to commission the plant by 2015. We should not be surprised, if RIL starts earlier, unless some stumbling blocks are created en route! This 312 km pipeline will transport CBM from Shogapur in MP to Pulpur in UP, which has a designed capacity to carry 4.3 mmscmd. The work is being carried out by Reliance Gas Transportation Infrastructure, a subsidiary of RIL, and necessary approvals have been obtained from the Petroleum and Natural Gas Regulatory Board (PNGRB). Later on, should the situation warrant, this gas pipeline can be hooked into GAIL’s main trunk line. As we can notice now, the work has been planned well in advance so that no time is lost when CBM is produced, which can be supplied to customers. It would follow that the gas allocation will presumably come from the ministry. In direct contrast to the speed at which private enterprise works, the Tamil Nadu government has suddenly decided to clamp down the work that has been going on since 2010 in the state, being carried out by Great Eastern Energy Corporation (GEECL). GEECL is the first company in India to commercially produce natural gas from coal beds in West Bengal, which has drilled 150 wells so far, without any problems. GEECL has received a licence to explore coal bed methane (CBM) in 691square km in Tanjore and Thiruvarur in Tamil Nadu. In 2011, the DMK led state government in Tamil Nadu issued a four year licence to GEECL and entered into an agreement, based on the production sharing agreement signed with the company by the central government. Subsequently, as the work progressed, some farmers had expressed concern about ground water contamination, environment pollution, apart from water depletion in the area. Although the ministry of environment and forests gave conditional clearance in September 2012, the present chief minister, Jayalalithaa, has now stopped the work till an expert committee, appointed by the Tamil Nadu government clears the same, and obtain the approval from the Tamil Nadu Pollution Control Board. So, the work has come to a stand-still and the report of the expert committee is expected in 90 days. The question is that this issue of exploring CBM has been going on since 2010, with various formalities and compliance of procedures must have been in place since then by GEECL. Now, for the chief minister to claim that the farmers’ concerns have not been fully addressed is a late lame excuse? Was not the Tamil Nadu Pollution Board aware of the licence issued by the previous DMK government? What was it doing since September 2012 when the MOEF gave GEECL conditional approval? Conditional approvals are stumbling blocks that delay project work. What were they, anyway? Did the Tamil Nadu government directly seek clarification from GEECL on the issues that it is asking now to clarify? Or is the TN government raising these issues after so many years just because the project had received clearance from the previous government with which the present government is always at loggerheads? If it raised the issue with GEECL, what was the contractor’s response? Is it interested in the welfare of the people in the state or is it more concerned about the opposition party getting the benefit, should substantial CBM gas is struck in the area? Of course, matters relating to farmers concerns need to be addressed and corrective steps taken to project the interest and environment, but success for obtaining such gas for the benefit of the power starved nation is just as important. It would be in the interest of the public to know the actual position from both the Tamil Nadu government and the explorer, GEECL! Highly disappointed. We need a sustainable development. Already there's no water from rain source and Cauvery river source which was stopped by neighborhood states. This project will help a private company and not the state people. NO Government will focus on public's basic need of water. Please Let the people to live atleast with the ground water. Because of this project the ground water will definitely go down alarmingly. This Mannargusi coal block area comes in the rich Cauvery river delta which is the rice bowl of Tamilnadu. This delta cannot survive if the ground water level goes down. The speed in which the clearances are given by the Central Government without due attention to the concerns raised at the public hearing conducted by the District Collector. The centre is not concerned abot the people or future generation. The centre is ready to destroy the rice bowl. please look the facepage cauvery basin to get more insights.. This attitude of both the Dravidian parties - DMK and AIDMK to oppose any action, reform, development etc started by the opposite party in power is most absurd and condemn-able. It is absolutely silly to stop the development of the state with each party competing with the other to sabotage projects.When will this stop and Governments work for State's progress and not to score brownie points with each other? This DMK government given a clearance just for money. Now farmers from Delta region started opposition to this matter. Agriculture is more important than those non sense Methane extraction project. People r not believing growth from those Gas extraction project. Non sense politicians still try to justify Methane extraction...koodankulam issue.....mullai periyar issue.... Fisherman problems.... Finally all tamil people r irritated to the extend. 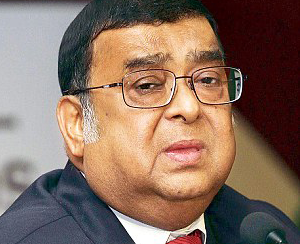 Lucknow-based activists, Dr Nutan Thakur and Asok Pande have demanded a probe by independent body into various allegations associated with outgoing Chief Justice Altamas Kabir. The allegations include, leakage of an order passed on his last day, allegations of not promoting Bhaskar Bhattacharya, former Chief Justice of Gujarat High Court for vested reasons and exerting undue pressure on Supreme Court Collegium to elevate a Judge to the Supreme Court. On the same day at 11am, the three Judge bench including the then Chief Justice Altamas Kabir, Justice Vikramajit Sen and Justice AR Dave quashed the Medical Council of India’s (MCI) notification for holding common entrance tests for Bachelor of Medicine and Bachelor of Surgery (MBBS), Bachelor of dental surgery (BDS) and post-graduate medical courses. My concern is not just about the leak of the order but the very reason given by Altamas Kabir that a common entrance test would adversely affect minority rights! He has followed the foot steps of KG Balakrishnan in blatantly misusing his position and mocking at the citizens at large, thanks to the criminals who dominate our law making bodies! His hastily judgement on medical entrance and bias comment on concept of reservation, both are hurting very much to the common people in India. they never forget it, shall never pardon to Mr. CJI Altamas Kabir. If dignity of judiciary is to be maintained the CJI must order a thorough probe in the matter. Such issues put the judiciary in shadow of doubt. There is need for CBI probe in the matter to look for reasons and such a favoured decision at last hours of retirement. I have been told that in Jan/Feb this year some doctors in Mumbai were already aware that the NEET would be scrapped & that money in hundreds of crores had exchanged hands with the private medical colleges having given this money. I came to know about this after the SC judgement on NEET was delivered a few days back. This is a very serious allegation. Mr. Kuruvilla, are you the person who is known as "pavam payyan' in media circles in Kerala? No, Mohan. I'm not the one. The ex-CJI was after all a human like all of us with built in prejudices and bloated egos. Can't stand even right opposition. When his own sister's appointment was stalled he gets annoyed. Who is any one to question when he is still occupying the chair, irrespective of the Presidential warrant of appointment of the new CJI? A clear case of Caesar's wife should be above suspicion! So far the SC and our judiciary was the only constitutional authority to remain untainted. This needs thorough investigation by a multi-disciplinary body of individuals not only from the bar and bench - a mych more wider - with dedicated civil society. Mr NAGESH having said what has been said well said;but m scared of the so called civil society you mentioned at the end hmm dangerous I believe! Krishna you certainly should not stuff the committee with the members of the same tribe - law. The civil society is a healthy mix of men and women from all walks of life,media journalists, accountants,doctors and engineers et al. Where else can you come across dedicated individuals? There may be some black sheep, you can't apply the same brush to one and all. There are good people too ! The question is why was the new Chief Justice of India, Mr.Palanisamy Sathasivam appointed by the UPA Government inspite of opposition from the outgoing CJ, Mr.Altamas Kabir? Is it because of his caste? Or did he represent some backward (depressed) caste community? What was the real reason for his appointment, will the UPA government please spell out...? Also, can the Upper Caste (or Forward Caste or whatever you call this group) expect anything from the current UPA Government? Chief Justices may come and Chief Justices may go but the sole lode star of Indian jursiprudence will remain "The Balance of Convenience". Ask Prashant Bhushan. His judgement of scrapping of NEET was really shocking ! !